If you own a dispensary, you know how important it is to be able to accept credit cards. Many customers want the flexibility to be able to pay with credit cards and they don’t always want to pay in cash. Unfortunately, many of the big banks won’t touch dispensaries since they are still considered illegal under federal laws. If you want to accept credit cards in your dispensary you are going to need to get creative and think outside of the box to get the credit you need. Under federal law, cannabis is still considered to be illegal so most of the big banks cannot accept money from dispensaries since it will be considered money laundering. Without this support from the banks, your customers cannot use credit cards to pay and this can lead to lost sales. You can make more money when you accept credit cards and you get to avoid some of the danger of only being able to accept cash. You won’t have to hire guards to protect your cash or pay for expensive security measures. Having a lot of cash on hand can be dangerous and it doesn’t feel good being treated like a criminal when you are making so much money. While the major banks don’t offer payment processing options, there are over 300 smaller banks that will work with cannabis dispensaries. Since the major banks don’t offer credit card processing options, you are going to need to go to a bank that does offer credit card processing. These banks will allow you to have a merchant account but you often have to pay extra fees and jump through other hoops to get the account. You won’t be working with name brand banks either and you don’t have the same protections that you would have with some of the major banks. It can be riskier working with these banks and they sometimes go out of business and take your money with them. These banks are also subject to being seized and that will freeze your money. It is important to find an independent bank that is stable and that has experience working with dispensaries. You can work with a bank legally as long as they are willing to comply with anti money laundering rules. This is more work for the bank, but good news for you because these banks can legally allow you to process credit card payments. Cash is king with dispensaries because the major banks don’t want to accept credit cards. Dispensaries are forced to work with smaller banks and these banks sometimes be risky. If they don’t comply with the laws they can be forced out of business and if their assets are seized you are not going to get your money back. The banks that do accept credit cards often charge very high transaction fees that can seriously cut into your profits. Cash is easier to work with and it is safe. You don’t have to pay processing fees when you use cash and you have one less thing to worry about when cash is used which makes it the safest and most attractive choice for most dispensaries. The downside of having a cash only dispensary is that you are likely to be missing out on income since many people don’t even use cash anymore. People prefer to buy things on credit and they often won’t use cash at all which means that you are missing out on sales. When people use their credit cards they are more likely to spend more money and they will come back to your dispensary faster. Credit cards are easy and safe to use and they don’t require any planning. If you only accept cash the buyer is going to have to go to an ATM to get the cash, carry it around and risk having it stolen, and then go to your dispensary. Cash is inconvenient and it makes it harder to buy cannabis on impulse. The purchase is going to have to be planned and this can put many people off. When a person has to use cash it can start to get difficult and you are definitely going to be missing out on potential money that could be coming your way so you want to consider accepting credit cards at your dispensary. You can find a list of banks that can set up a merchant account for you online. You are going to want to research the bank carefully before you decide to work with it since some banks are going to be safer than others. You don’t want to risk working with a bank that is going to cause problems or end up taking off with your cash. It is also going to be very important to compare processing fees from the different banks. You want to make sure that you get the lowest processing fees possible and this is going to take some time and effort. You need to look at the processing fees from all of the different banks and choose the best deal. Read the fine print carefully and make sure that you understand what all of the fees are going to be and what the other costs are going to be. Some banks will tack on lots of different fees with their merchant accounts that can start to add up quickly. 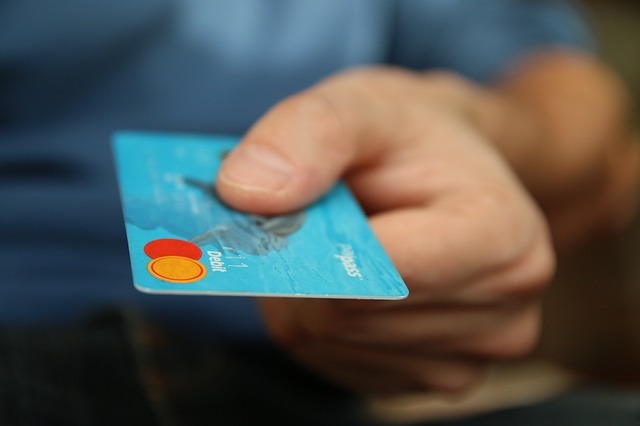 As cannabis is becoming more and more accepted, banks are likely to start to working with credit card processors so you can accept credit cards without having to jump through a lot of hoops. Billions of dollars in sales are being made each year on cannabis and customers should be allowed to pay for their cannabis however they want. Cannabis is a huge industry and people tend to buy more and buy more frequently when they can accept credit cards.